This article was published in the Sounds magazine on April 13, 1974. Author — Rob Mackie. 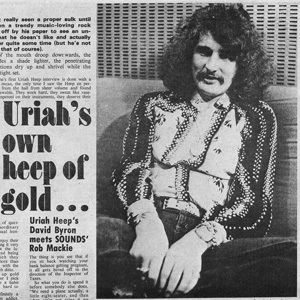 Uriah Heep’s David Byron meets SOUND’s Rob Mackie. You haven’t really seen a proper sulk until you’ve seen a trendy music-Ioving rock journalist sent off by his paper to see an untrendy band that he doesn’t like and actually hasn’t heard for quite some time (but he’s not about to admit that of course). The corners of the mouth droop downwards, the denim jacket fades a shade lighter, the penetrating journalistic questions dry up and shrivel while the mouth’s still in a tight-set. 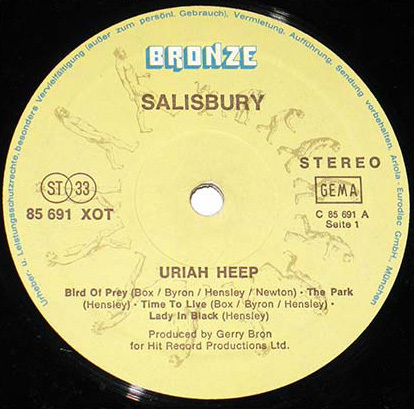 Just about everyone’s first Uriah Heep interview is done with a pretty surly grace. I mean, the only time I saw the Heep en personne, I was driven from the hall from sheer volume and found them virtually unreviewable. They work hard, they sweat like vaselined pigs, they’re competent on their instruments, they deserve their success in terms of entertainment and that’s it. It’s self-explanatory. It works, and you don’t feel a desperate urge to see then(m) afterwards and ask them the real meaning of those particularly obscure lyrics, or the philosophy behind their lifestyles. So we troop off to do our first interview like we were going to the dentist, and we live and learn. The lads with the Dickensian nom de plume are in fact splendid company. 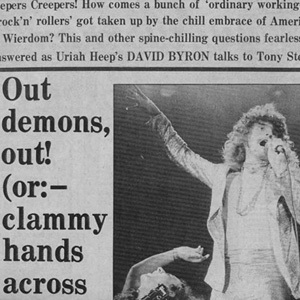 Interviews with any combination of Heeps is no bad way to spend some time: they’re a fund of questionable jokes, extraordinary anecdotes and unusual honesty. They all seem to enjoy their situation without taking it very seriously, and accept the lunacies of touring and being lionised — of which they seem to have had more than their share — along with the gold discs — of which ditto. The Heep pick up gold discs the way you or I pick up bills. It’s become a habit that’s proving very hard to break. David Byron’s definitely a registered gold album addict. “Actually, the more you get, the more you expect. It’s got to the point now where we’re on the phone saying ‘Has it gone gold yet?’, every week, And they might say ‘No, it’s got another 50,000 to go yet’, and you’re not really happy until they say it’s gone gold.” Soon, they’ll be wanting platinums for a million units. It all means money, but then again, this is England, and you’re not allowed to have money, so the last few Heep albums have been recorded elsewhere — the last one in Paris, the next in Munich. The thing is you see that if you sit back watching your bank balance getting pregnant, it all gets hived off in the direction of the Inspector of Taxes. 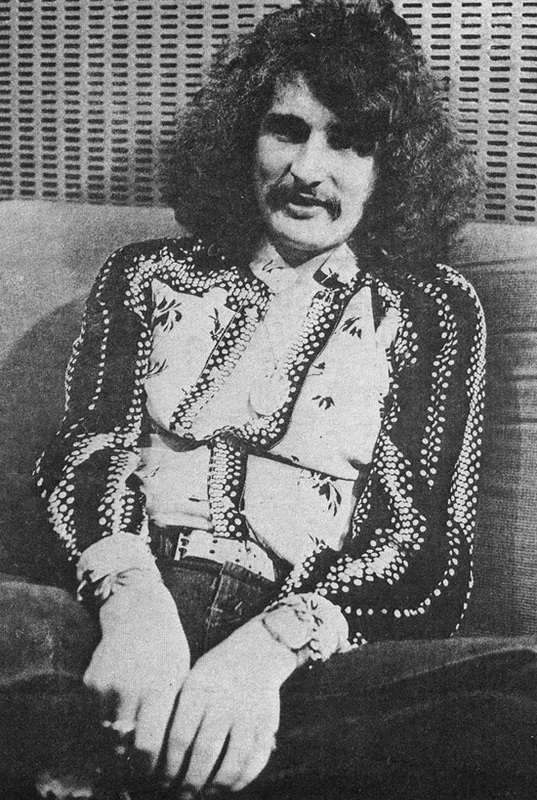 David Byron (1974), photo from the “Sounds” magazine. The way the money does get used is to enable a band to create the sort of freedom that cuts down on the niggles of working: you get your own recording studios so that you don’t have to go through all the booking hassles, the having to be there at a certain time, and be out at a certain time. Get your own plane and you don’t have the interminable hanging around at airports. You take off when you want to, do what you want on the plane, land at a convenient lime and so on, get someone who can make your own films. That step was taken after the band had hung around in the dressing rooms for an edition of Don Kirshner’s Rock Concert in the States, waiting on certain West Coast bands to finish tuning up and start playing, and feeling the adrenalin ebbing away. Eventually, they took the unusual step of leaving. So Heep hired Shepperton studios, hired their own audience and Tony Palmer to direct, and the half-hour section in America’s “Rock Concert” will be their own film, presented the way they want, with the sound checked out and so on … The Heep are becoming more and more a self-contained all-purpose unit, and they’re fond of doing things in style. You can’t eradicate all the ills of touring though by shelling out some cash. A band like Heep that puts out albums with titles like “Demons And Wizards” and tours the States is going to run up against a few weirdos as sure as the Titanic isn’t going to float back to the surface. There hasn’t been a rock ‘n’ roll assassination yet, not actually on stage, but how would you feel if you were up there trying to lay down what we in the trade call a tight set, and you know that one of those pink, blurred faces out there has threatened to shoot the organist? Not awfully well, I suspect. Now, while you might laugh off such talk in Cheltenham, you can pick up the local paper in Detroit and read a downpage item about the six unsolved murders the day before, and what if another longhair snuffs it? That’s life innit? Fortunately, David knew he didn’t have any personal problems at home and could laugh that one off but things like that could turn a travelling musician slightly spare. The Heep have done their fair share of hotel molesting, and there was the time drummer Lee Kerslake dived into a pond fishing for goldfish with a penknife. Another time time out for Mr. Kerslake came when he took rather a lot of valiums under the impression that they were asprins or something, while he was off on a fishing trip. “We literally carried him on stage in Phoenix, and he couldn’t play anything. He played, but he played through all the numbers and all the breaks exactly the same. To stop him you had to take his sticks away. 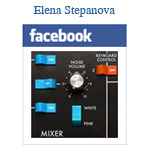 We just turned all the amplifiers up and looned about hoping no-one would notice. Ah, the stories we could tell. 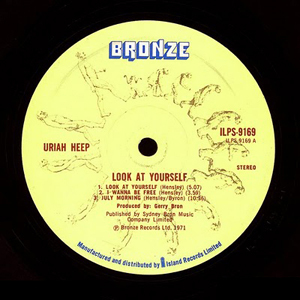 But there isn’t space, so to make for a stunning last paragraph, allow me to reveal that the next Heep album has a track with an orchestra on it. 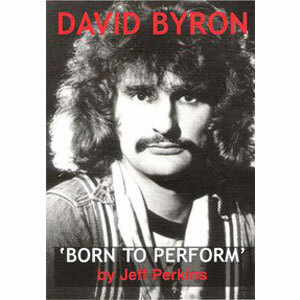 And when you’ve adjusted to that, your lug’oles will have to get re-tuned again, for a David Byron solo album which is likely to be as Un-Heepy as Ken Hensley’s: “Yes, I’m definitely doing one. It gives you a new lease of life. “I’ve got about six songs now that I’ve written and they’re totally different. Some of them are rock ‘n’ rollers and some of them are very slow. But you can experiment because you’ve got nothing to live up to, and in a way it doesn’t matter.” Still, I don’t think he’d be averse to a solo gold album, either.